I’m gonna be completely honest. 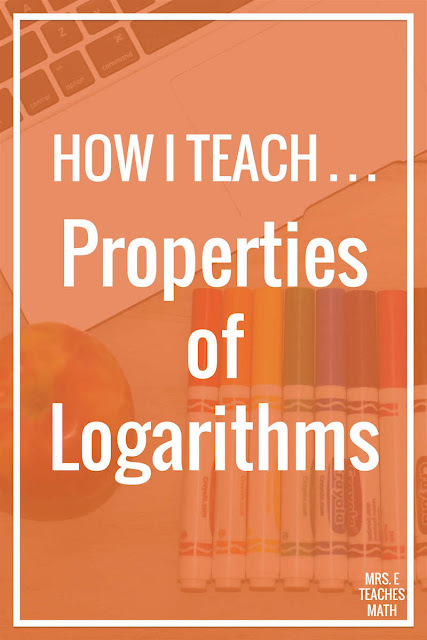 When I was teaching Algebra 2 Honors for the first time, I was super nervous to teach logarithms. I just didn’t know how to explain things in a way to make sense, and I was afraid it was going to be an epic disaster. So, I researched. I read and read. The result was that my logs lessons ended up being awesome and I felt way more confident. So yeah, research if there’s a topic you’re nervous to teach. Anyway, this is how I taught properties of logarithms. 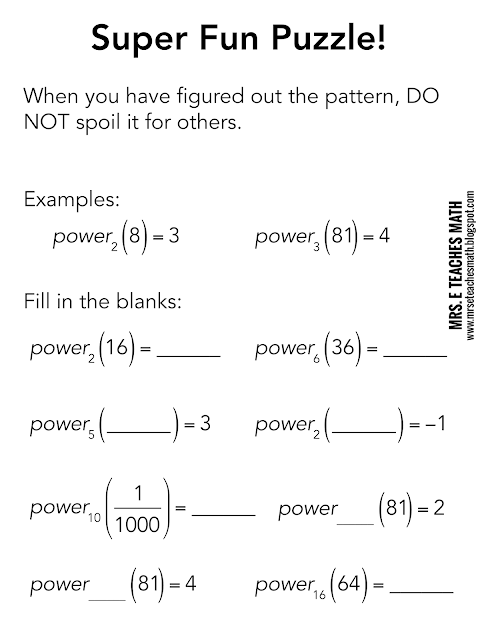 On Kate Nowak’s blog, she shared a puzzle-type thing she used with her students. I modified it a little before giving it to my students. 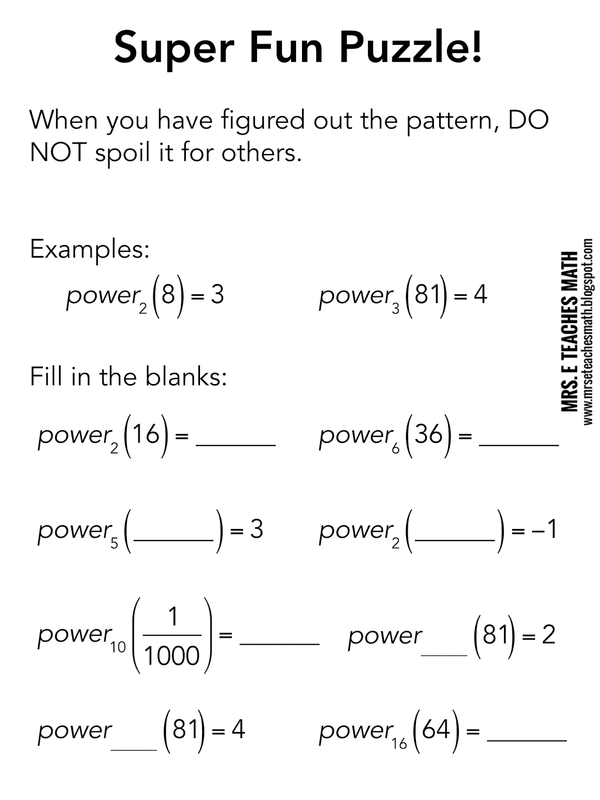 I actually gave my kids fewer examples and made the problems a little more confusing (some of them are similar). I gave this to my students as their warmup at the beginning of the period. After a few minutes, I asked if anyone figured any out. If someone had one correct, I had them write their answer for one of the problems on the board. I continued that process slowly until a different person had written the answer for each of the problems. Then, we talked about it. 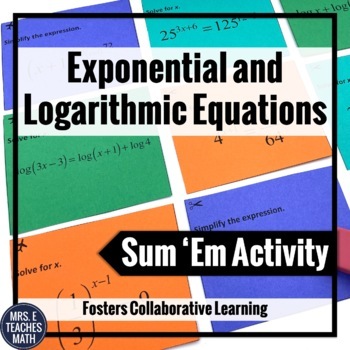 I explained that they could think of logarithm was another word for exponent. Then, I passed out notes and we talked about the properties of logs. For a lot of kids, it only half sunk in. So, I used symbols and pictures like I do when I teach function notation and factoring. I usually make up little doodles on the fly for each of the properties of logs. I have my kids write them down and make up their own. I follow this lesson up with a few minutes of whiteboard practice. 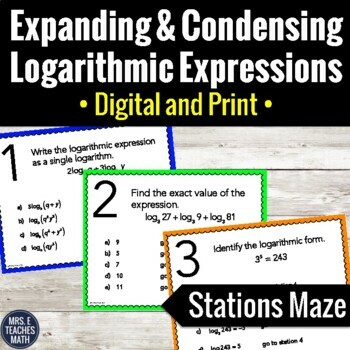 My students have also really liked my Expanding and Condensing Logarithmic Expressions Stations Maze after this lesson. Using symbols and doodles to teach the properties of logs always seems to help my students visualize the properties better. 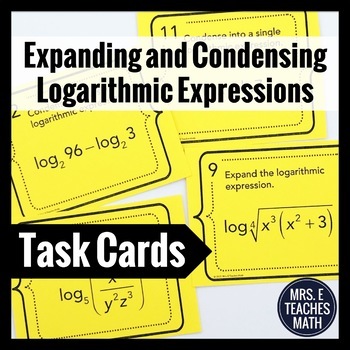 While it’s important to me that they understand logarithms, I feel that the first example helps with that. Sometimes, kids need to step back from the algebra to see the overall patterns. Using symbols and doodles helps. Do you do anything interesting when you teach logs? Have you seen Vi Hart's video on logs? 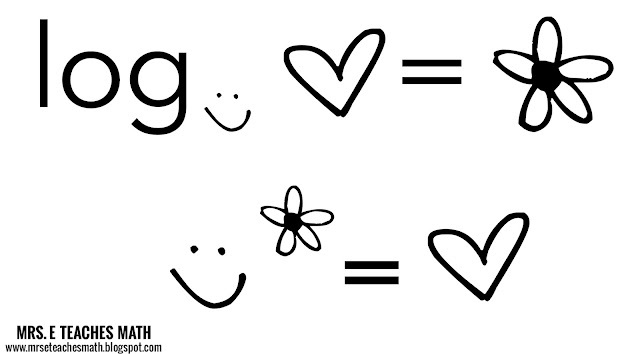 It's great. I wouldn't show it directly to my students but it helped me to change the way I introduced logs to them. Hope you'll check it out. I like the idea of the doodles for the properties.